There is a common thread that runs through the history of Western music that is all about creating – IN THE MOMENT, that is. Improvisation has been crucial for musicians and composers alike, just as it has been for authors and painters. For all of us, in fact, when talking to each other. We all improvise. So this is NATURAL for us. In European classical music, the ability to improvise was expected from good musicians, especially those who composed. The music of Bach, Mozart and many others cannot be understood without realizing this! These masters even left us works that SOUNDED like improvisation – for instance pieces they called theme & variations. In pieces based on this form, the composer presents what is usually an original short melody or a well-known song, often followed by a long series of variations where you can follow the original melody, hidden amid the many notes. Famous examples include Mozart’s variations on the French popular song, ”Ah vous dirai-je, Maman”, and Brahms’ ”Variations on a Theme by Paganini”. The present CD is all about this element of variation. But it’s also about being natural, playing melodically. AND it’s an album about interplay! Every bar these musicians play breathes this truth. Some of the tunes here are standards, where the presentation of the melody is relatively straight and recognizable. Still, the melody is constantly varied and never feels repetitive. 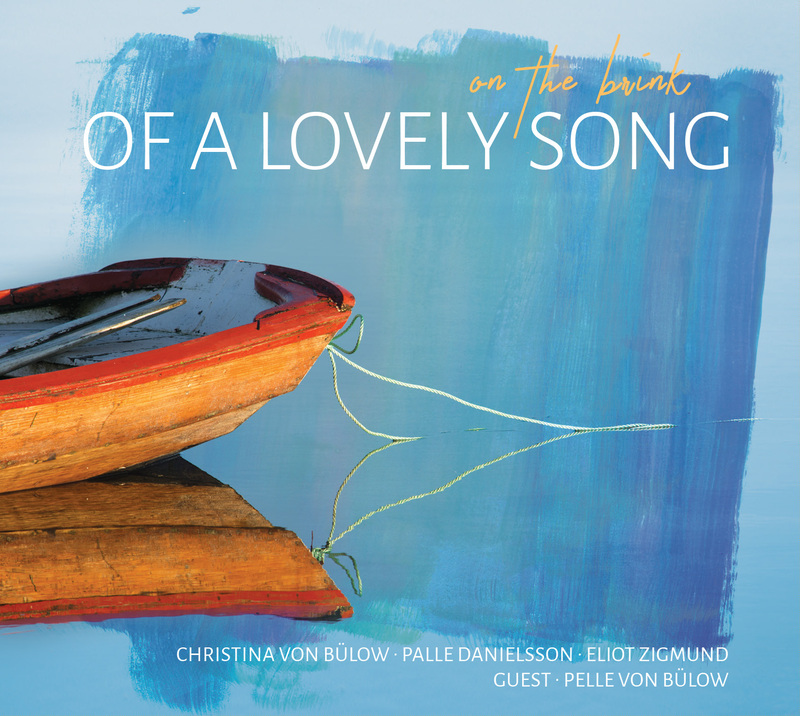 Other tunes are harder to recognize, since they are Christina von Bülow’s own melodies, based on the harmonic structure of certain well-known songs. In jazz, this procedure of creating new tunes based on standards goes back to the beginning of bebop. Masters like Charlie Parker used this form constantly. Another alto saxophonist, Lee Konitz, also took up this method. And HIS spirit is definitely present here. Beginning in the late 1980s, both he and Stan Getz were mentors and teachers for Christina. The only completely original song is the finale, ”Sørgemarch” – an elegy for a young woman who died way too early. When listening to Christina’s playing on this album, you may sometimes be in doubt as to whether she is improvising or presenting a new melody based on a familiar song. The truth is somewhere in between! What makes this recording so special is the feeling of a collective spirit throughout. Christina is the main soloist, of course. BUT, she is listening so intensely to the other musicians that she gives herself time to breathe and make pauses in her solos, to the extent that the music becomes truly collective in certain passages. Especially when the actual solos on a tune are finished, and before the return of the melody. Christina’s ear for harmony never fails her – something I, as a pianist, immediately recognize – so that not only the quartet tunes, but also the trio numbers without a harmony instrument make for very satisfying listening! Throughout the album, her saxophone playing is carried by a more than competent bass-and-drums team. Palle Danielsson’s bass plays counterpoint to Christina’s sax lines, and Eliot Zigmund supports everything elegantly on the drums. Both players are veterans from the history of jazz, known especially from the groups of Keith Jarrett and Bill Evans, respectively. Bill Evans’ spirit is particularly present – for example, on Jimmy Rowles’ famous ballad “The Peacocks”. As an extra bonus, we meet a coming star on his instrument, the young guitarist Pelle von Bülow, son of Christina. His playing is subtle and melodic like his mother’s. And like her, he’s really LISTENING to his fellow musicians.